Posted on January 12, 2017 January 12, 2017 by Mark R.
Massive thanks to Razorien for providing the photos used in this post! It’s been a little while since I’ve posted an update on The Explorers Club waystation project but I’ve been waiting for some of our projects to get fully underway before bringing them to light. 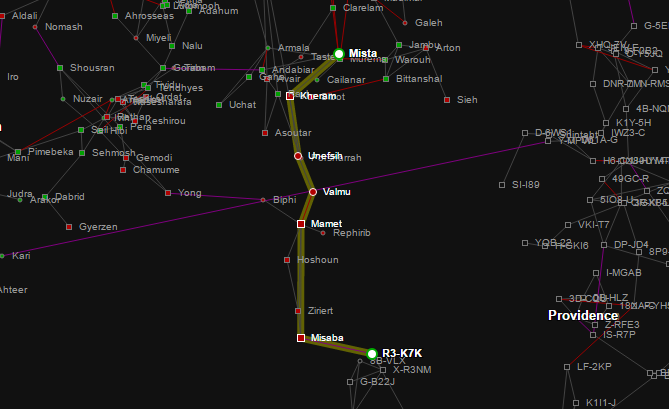 ESOCI (the shorthand term for The Evesploratory Society) has grown dramatically since launching its first Astrahus waystations in three High Sec systems that are either adjacent to areas frequented by explorers/expeditionary players (Mista and Horaka) or have exploration/lore significance (Jakanerva). The corp now has a fully-operational industrial and mining backbone to support its operations and we are able to pay our bills on time with enough left over for side projects. With that steady income stream, we found ourselves able to consider how the Explorers Club concept and the services provided by ESOCI could be expanded this month. ESOCI started with the intent to provide waystations with free services to explorer, expeditionary mining, PvE, and Lore-focused groups we either identified ourselves (like Signal Cartel and ARC) or who approached as. The waystations (with the exception of the one in Jakanerva) had restricted access in an effort to foster a sense of community among users. In our Mista and Horaka citadels, however, it became clear that the Jakanerva model (aka “freeport”) was more effective in that regard so we opened up all our citadels to public use in October, 2016. The services (clone bay, reprocessing, offices, etc.) continued to be free for those corps and individuals on a “Friends of the Society” list (like Signal Cartel) and a nominal fee was charged to all other users. Over time, we noticed that our Mista citadel, and the Mista system in general, became busier and busier. Additional citadels began to appear, a small market was developing at one of the NPC stations, and its role as “the last stop before the LS/NS frontier” (which is why it was chosen back in August to host a waystation) became clear. That spawned an idea. What if ESOCI created a “port” in Mista; an expansion of the waystation concept that offered the full range of services available on the citadel/engineering complex platforms? Similar to Port Royal from Earth’s history, the port could serve as a place for players like explorers to rest and stock up on supplies or cache their findings, miners to process their harvests, and industrialists to create and sell materials that would support the local economic demands. The full life cycle from raw materials and exploration site spoils to manufactured components to end-products that are sold at the market (and all the in-between exchanges) could all take place in a central location and for much less cost than at an NPC station or at most player-owned structures. Furthermore, there was the obvious utility of providing corp office spaces, areas for storage, clone bays, and having a place to rendezvous with friends, fit ships, etc. 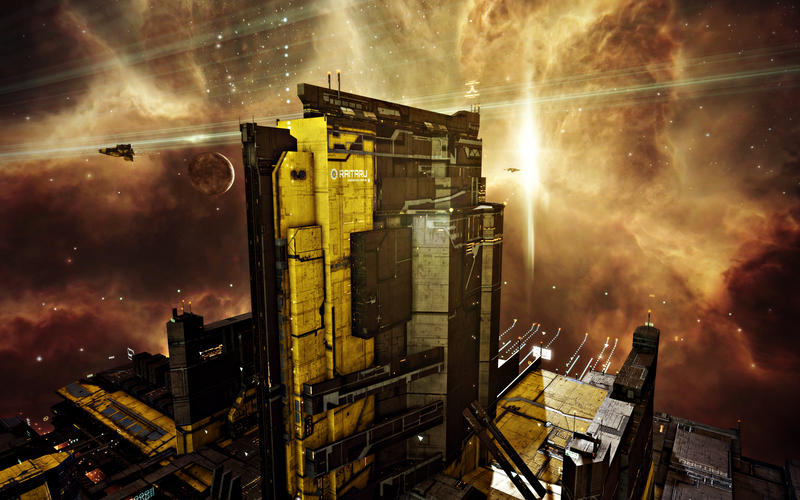 ESOCI Port Mista: A Fortizar-class citadel featuring a market (0.1% brokers fee) and clone bay. ESOCI Port Mista R&D Complex: An Azbel-class engineering complex featuring the full range of research, manufacturing, and invention capabilities. These capabilities (which are already bonused by the Azbel) will be enhanced with rigs when the market stabilizes. ESOCI Port Mista Refinery: A Raitaru-class engineering complex featuring a reprocessing center with HS/LS/NS ore and ice reprocessing rigs to boost base refining to 52% (better than any NPC station). This replaces the reprocessing features at The Explorers Club astrahus. The Explorers Club: The original Astrahus-class citadel at this site. It will remain operational at least for the next few months as a “clubhouse” and have restricted access to those on the Friends of the Society list. 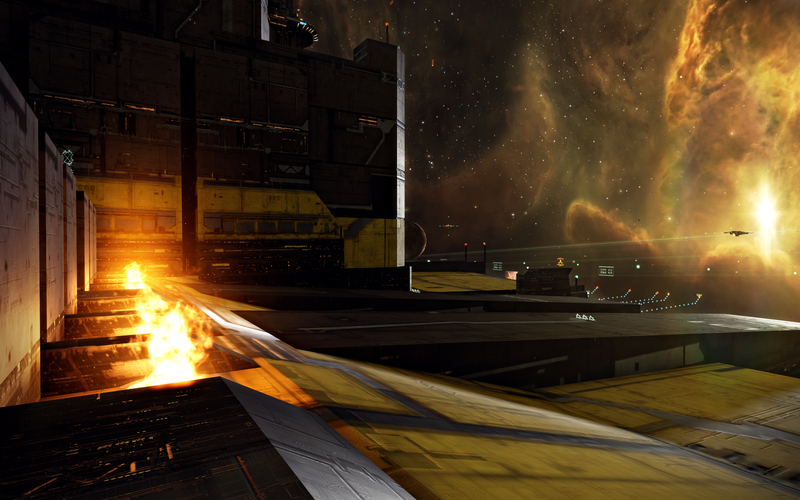 It will continue to feature a clone bay but reprocessing functionality has transitioned to the adjacent “ESOCI Port Mista Refinery” at the Raitaru. 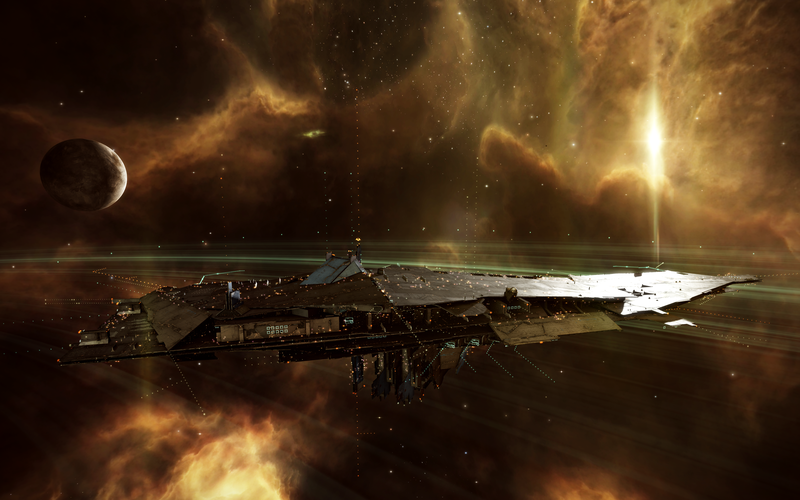 The Fortizar at ESOCI Port Mista which houses the market. Since opening, Port Mista seems to be operating as predicted and fulfilling demand. More than 200 million ISK worth of sales were made in the first 48 hours at the Fortizar (on one of my characters), the Azbel is being used by a handful of industrialists, and the popular reprocessing and clone bay capabilities continue to see use. Essentially, the concept seems to be off to a promising start and I’m excited to see how the Port continues to expand. We even had our first “market scammer” pay us a visit and post a contract scam in Local. If that’s not a sign of a growing market, then what is? While large sections of the market will need to be supplied by other players, ESOCI plans to ensure that the Port Mista market is kept stocked with exploration and mining supplies at all times in alignment with ESOCI’s core mission to support explorers, miners, and other expeditionary players. Should you find yourself in need of supplies, you can visit the Port to restock on scan probes, gas harvesters, exploration frigates, expeditionary frigates, etc. The demand is certainly there and we’re having difficulty keeping up with it, to be honest, despite pumping more than 4 billion ISK in market supply seeds into the Fortizar to-date. While our focus is currently on Mining/PI/Explo products, preliminary analysis suggests a strong demand for PvP-centric products to supply players in the Low Sec “Pipeline” to Providence and in Providence-proper. Low Sec “Pipeline” between Mista and Providence. ESOCI has also recently acquired a series of POCOs (Player-owned Customs Offices) through a combination of gifts, purchases, and replacing abandoned structures. The POCOs are accessible to all players regardless of standing and feature a flat 2% tax (not counting any taxes levied against your character by the Empires). They can be found in Mista and in systems nearby.